A newer build version of Microsoft Office 2010 has been compiled and leaked to Internet. 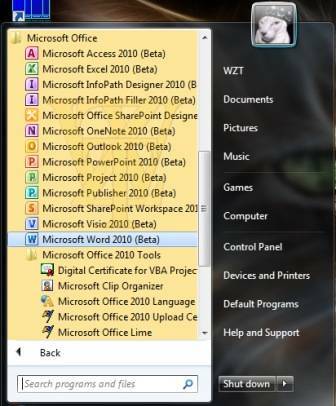 The new build has the wording of “BETA” printed on Office applications such as Word 2010, Excel 2010, PowerPoint 2010, Outlook 2010, OneNote 2010, SharePoint 2010, Project 2010, Visio 2010 and Publisher 2010 on “About” dialog and Start Menu, although it’s still a “Technical Preview” in splash screen. Thus it is probably a newer development milestone (may be Beta 1) past Office 2010 Technical Preview, where had also leaked for download. 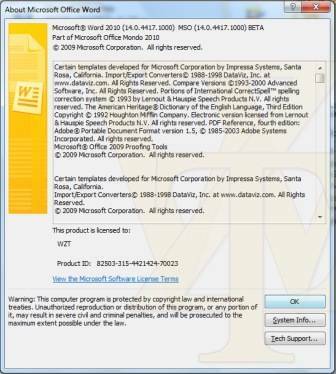 Both the 32-bit and the 64-bit flavors of Office 2010 Build 4417 have been leaked and are now up for grabs via HTTP direct download or BT (BitTorrent) torrent download. Actually, the screenshots of Office 2010 Beta release version 14.0.4417.1000 has been published on WZor.net website days ago, but the setup installation files have just been leaked. 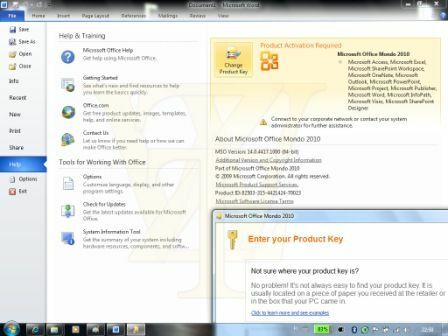 The leaked Microsoft Office 2010 Beta 1 Build 14.0.4417.1000 is the “Mondo” build, which is the equivalent of the “Ultimate” SKU of Office 2010, and includes other separate Office applications such as Visio 2010, Project 2010 and Publisher 2010. 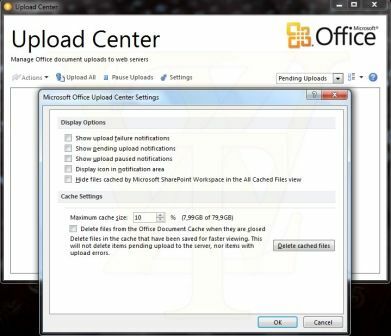 The last leaked version of Office 2010 Mondo Build 14.0.4302.1000 brought various issues and problems to the installed system, and was not able to be uninstalled and removed easily. 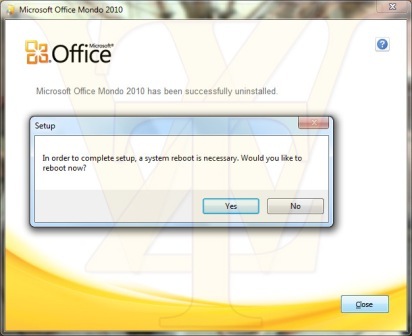 The new build of Office 2010 Mondo is now able to uninstalled properly. The new build of Office 2010 Beta version 14.0.4417.1000 has a new Microsoft Office Upload Center which can be used to upload and manage Office documents uploaded, stored and shared on web servers or online, probably in Live Mesh or Office Web Applications and Office Live Workspaces. Also featured in the new build is updated Back-Stage and new application icons. 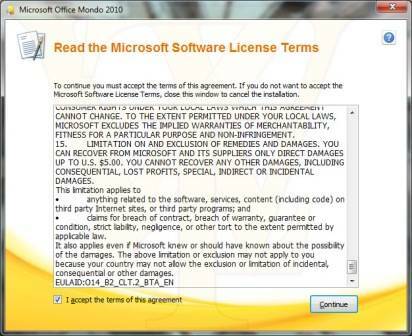 As the leaked build of Office 2010 Mondo Ultimate 14.0.4417.0 is of volume licensing (VL) edition, it’s subjected to new Office 2010 activation system. However, user can extend free usage period to 180 days (6 months) by rearming Office 2010. The torrent will download 14.0.4417.1000_Mondo_volume_ship_x86_en-us-wzt.rar and 14.0.4417.1000_Mondo_volume_ship_x64_en-us-wzt.rar which are US English version and 32bit or 64bit editions of Office 2010 Beta. The separate setup installer for x86 and x64 versions of Office 2010 Beta 14.0.4417.1000 can also directly download using HTTP download links below. Note: All download links removed due to Demand for Immediate Take-Down: Notice of Infringing Activity NoticeID:111634363242022708.